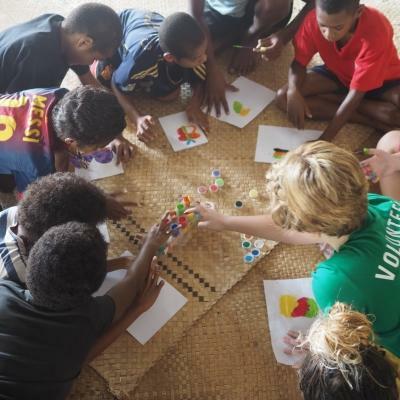 Volunteer in Fiji with Projects Abroad and take part in projects designed to address the needs of local communities. Experience life in this stunning Pacific island while supporting ongoing efforts to help people in disadvantaged areas. 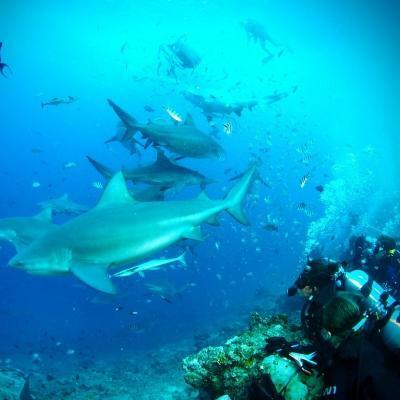 You can join our internationally-recognised Shark Conservation Project, which conducts valuable research about one of the ocean’s most feared and misunderstood predators. You can also support the educational development of young children in under-resourced daycares. 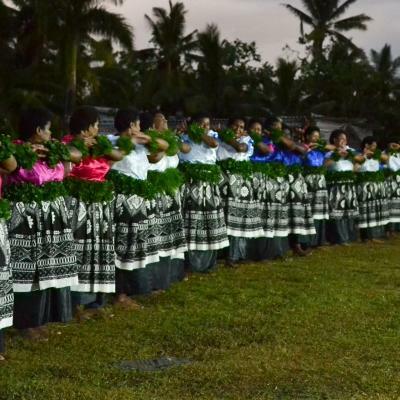 Or, immerse yourself fully in the Fijian culture by spending time in a traditional village. You’ll be living on the largest island, Viti Levu. 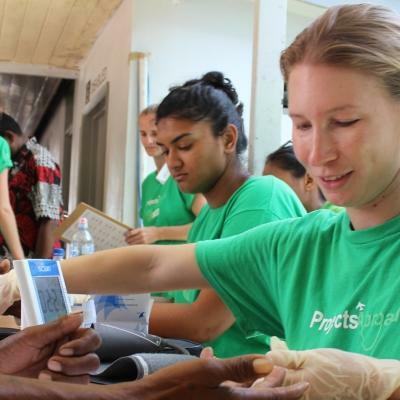 Conservation volunteers work out of Pacific harbour in the South, while everyone else is based in and around the town of Nadi. 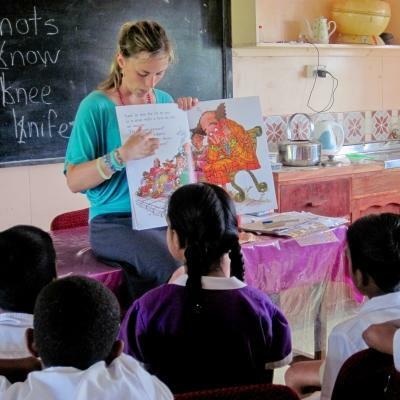 While volunteering in Fiji, you’ll receive 24/7 support from Projects Abroad staff. Fiji offers visitors some incredible travel opportunities. You can go trekking in the dramatic highland interiors, and bask on the picture-perfect beaches for which Fiji is famous. 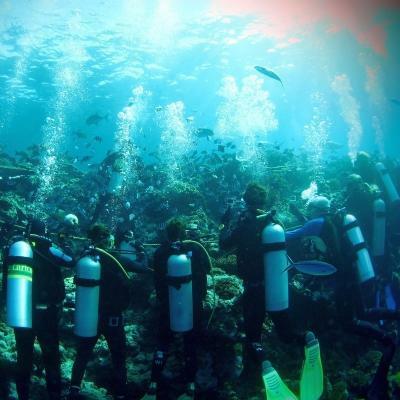 Experience their colourful festivals, hop between islands on a boat, and scuba dive in crystal-clear waters. You’re spoilt for choice! While doing a Fiji volunteer programme, you’ll be based on the country’s largest island, known as Viti Levu. Here we work in two locations. Conservation volunteers spend their time in Pacific Harbour, while everybody else is situated in the town of Nadi. 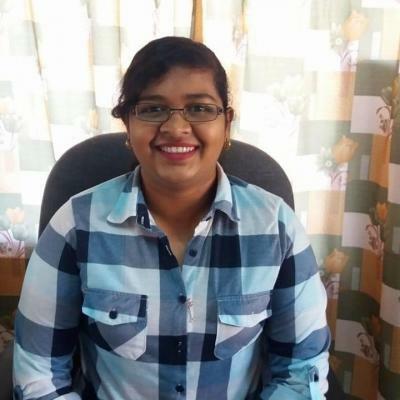 Nadi is located on the western part of the mainland island, Viti Levu. While small, the town has everything you might need, such as convenience stores and restaurants. Relax on the beautiful beaches, visit the largest Hindu temple in the Southern Hemisphere, or check out the incredible orchid garden. Known as the adventure capital of Fiji, Pacific Harbour offers visitors the chance to try out zip-lining, canoeing, and jet-boating. The harbour is located on the southern coast of the island, and is home to a number of beach resorts.